A few weeks ago I conducted a nutritional consult for a new customer and my world was opened up a little further. I know there is some crazy stuff out there, but after I met up with Paul Kavanagh, I was really intrigued. So what exactly do you get when you cross Survivor with Ultra-Marathon, well I am not exactly sure, but I think it is close to the Fuego y Agua Survival Run. It is a 80km+ Ultra Distance Survival Race on the volcanic jungle Isla de Ometepe in Nicaragua. The objective of this race is to strip you of all comforts and to put you in true Survival mode. 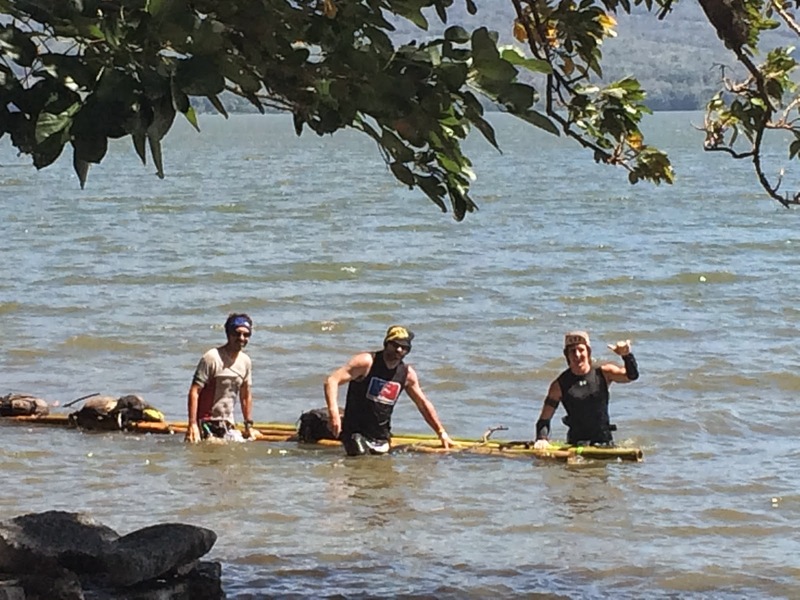 The obstacles/challenges are natural and based on the daily survival of the local culture on Isla de Ometepe. 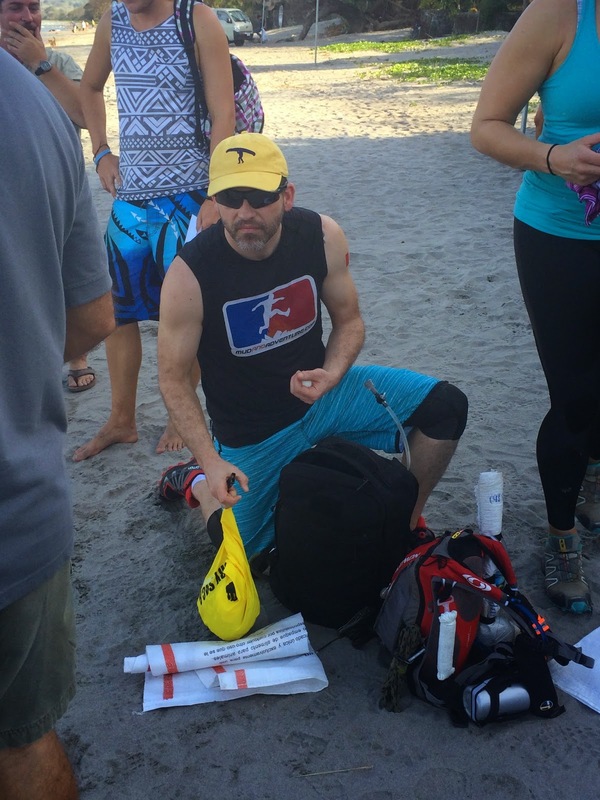 Infinit: How / when did you decide to take on Fuego y Agua Survival Run, and if you can still walk the Devil's Double? Paul: I got into the sport a couple of years ago, after doing a smaller trail race where there was also a survival race going on. I thought the people were awesome, had great attitudes, and were having a blast. I started to think, “why can’t I do this”, and began working towards it. This will be my fourth survival race type event. 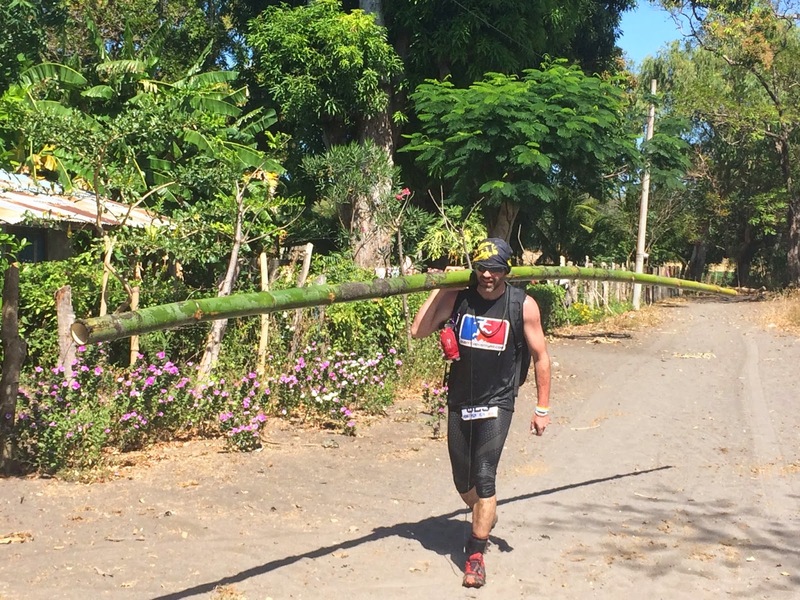 I was in Nicaragua last year for the Devils Double, and did reasonably well at the Survival race, hitting a time cutoff at about 24 hours or so. But, I went in to the race with a chest cold, and was too sick to start the 100k ultra two days later. Btw, the Devil’s Double is doing the survival race on the Wednesday, and the 100k Ultra on theSaturday. Given that the survival race goes for 25-30 hours, there is really only about a day to a day and a half for recovery. It is really ambitious given where I am with my training, but I am going to toe the line Saturday, as long as I can run! Infinit: What have you done to train for this event, what does a typical week of training look like for you? Paul: My trainer, X3 Training, has put together a program that has been slowing increasing training volume for the past year, and focused on functional strength before putting in the running distance. Right now it is gym 3 days per week, and I have transitioned from a big compound movement focus (squats, deadlifts, pull ups), to kettlebell. I will have a couple of days of speed work, and weighted stair climbs, some biking or swimming, and my long runs on the weekends, both Saturday and Sunday. I’m sure most people reading this are quite aware, but just getting the scheduling right, what with work, kids, side projects, relationships, and so on. Maintaining sanity is a challenge, and I am learning that proper nutrition during and after training goes a long way to determining how many training hours I can realistically add on before I crash. I am seeing some good improvements there with Infinit. Infinit: Have you set any goals for the run, I have to assume finishing might be it? Fuego survival race, this means you get all of the in race medals, and there are four of them. I – DID – NOT – FAIL. You get a medal (in think they are small statues for this year in Nicaragua) for completing a challenge. A challenge might be carrying gallons of water to the top of a volcano, climbing trees, memory challenges, etc. First you get the “FAIL”, then the “I” (as in I FAIL), then the “DID” (I DID FAIL”, then finally the “NOT”. Any particular challenge you might miss, for any number of reasons, which means you do are not an official finisher. But it is still worth keeping on, because they do track ranking based on what you did complete, how far you got. It can also be difficult to beat the cut-off times, and a lot of people have either dropped or start to miss cut-offs at about the 20-24 hour mark. There are a number of cut off points that are for racer and volunteer safety, to ensure that racers do not enter a particularly hazardous area of the course in difficult conditions. There is an overall 30 hour cut off. I will be happy to make it to the finish line, with or without all of the medals! Infinit: We know that you decided to go custom with Infinit, why did you decide to sit down with us and go custom? add enough time and volume. So, small differences in nutritional components can make a big difference. When doing a survival race, you might be required to carry 5 one gallon jugs of water to the top of a volcano, as we did last year. It was a 3-4 hour trek. I want to have as much nutrition as I can squeeze in, while making sure I stay hydrated, electrolytes are good, and I have enough protein. Since I have to carry all my supplies, from the beginning of the race, having my nutrition in powdered from saved weight, and I can get hydration and nutrition at the same time. Less to think and worry about. And in a lot of places in this race, it may be a difficult 5-6 hour trek out of the jungle if you run in to problems. Infinit was able to put together a formula based on my personal needs, and based on my physiology. I expect it will be a work in progress over the next few races, but in training it has been working really well, and it feels good to have that variable well taken care of. So if you want to keep track of how Paul and others are doing in the Survival Run - you can find out where to follow along here: Mud Run Guide. Race starts at 3:00 pm EST, next Wednesday and the race cut off is at 9:00 pm on Thursday. The 100km run starts on Saturday at 3:00 am EST and the cutoff is 28 hrs later. Best of luck Paul - will be pulling for you! We have been fuelling Brent since last year. I reached out to him after seeing him place 3rd Overall at CrossFit Canada West. Of course I was impressed with his physical abilities, witnessed in person and watching some of the posted Open workouts performed to get into the regionals last year. But, what impressed me most was his methodical and almost scientific approach to his sport. After first connecting we agreed that there was probably a good fit, Brent reviewed our approach, raw materials and products with his nutritionist, soon after he started fuelling on our products. INF: I would imagine that you are pretty motivated this year coming off a podium finish at the CrossFit West Regionals last year. How have you approached your training as you prep for a big 2015, now armed with the experience from 2014? Brent: Finishing on the podium at Regionals last year was an excellent confidence booster for me. Although I was just short of qualifying for the Games, it just reaffirmed that my training methods are helping me to improve at a rate equal to or faster than my competition. I have not changed much to my training since then, I have just continually tried to refine myself as an athlete. The main focus for me is ensuring every time I train I am able to give a consistent effort. Rather then just rolling through the motions and getting through my program, I try to approach each training session with specific goals and focused intensity. If I can structure the rest of my life around consistent training sessions I know I will continue to have success. INF: Last weekend you won the 6th Annual Official OCT in California and won $20K, going into the competition were you thinking that you could be on the podium? Brent: I had the support of my coach who believed I would be in contention for the podium. However if I am being honest I didn't really think I would be. I do most of my training alone, and I am constantly thinking that there are other athletes out there moving faster and lifting heavier. I don't have a lack of confidence in my own abilities, I just tend to over-estimate my competition. So to compete on the big stage and see that my hard work is paying off is really rewarding. INF: How did the OCT weekend event differ from a CrossFit Regional event. Were there familiar faces there - were you competing against people you have competed against in the past? Brent: It was a pretty similar experience to CrossFit Regionals. There were multiple events in a day against a solid field of competitors. Most of my time was spent warming up, competing, cooling down and eating between events. I was lucky to have a support group with me from Kelowna and I was competing against a good friend from Canada West Mitch Barnard. I also knew a handful of Australians as well including my coach Raw Strength and Conditioning. INF: How have you integrated the fuel from Infinit into your training over this past year? What are some of the key benefits you have noticed in the switch to a complete fuel? Brent: I use the XCite daily during my training session and the Rescue immediately proceeding my training session. Depending on the number of events in a day and their duration I will use both supplements in a similar fashion while competing. The biggest difference I have noticed is an increase in my alertness and energy levels during training due to using Xcite throughout my training. Before I would only drink water, I believe now my training has improved due to the added supplementation to my hydration. Having the Rescue as an all-in-one recovery supplement is convenient rather than also requiring another carbohydrate fuel source to eat or drink post-training. INF: We are not so far away from this year's Open and the new combined Regional event, what are some of the big areas that you will be focusing on? Brent: Since starting CrossFit my weakness has always been my strength numbers. So I will continue to put an emphasis on the major lifts; squat, bench and press. Although my conditioning level stays quite high throughout the year my coach will be including more conditioning elements to ensure I am prepared to be successful in The Open. I am really looking forward to the new Regionals format, I think it will create a more exciting weekend because the level of competition will be so high among all 40 athletes. We are thrilled to be fuelling Brent and look forward to this year's CrossFit Open. Dougie Hamilton Continues to Soar!!! At the NHL All Star break it is a great time to assess, 48 games into the 82 game season. Boston has rebounded after a bit of a cool spell going 6-1-3 in the last 10 games, firmly in a playoff spot. Wish I could say that for my Leafs - another story, wish they were using Infinit! Part of the Bruins success is continued solid play from Dougie Hamilton - having a career year in his 3rd as a pro. Dougie sits 4th in total points for the Bruins, with 8 goals and 18 assists, already ahead of his totals for all of last year. He has been logging close to 22 minutes per game, really impressive for a 21 year old. Dougie received some very high praise on a Boston radio station WEEI 93.7 FM this week when Pierre McGuire was asked:“where do you see his career headed”, PM - "Ah...as a potential Norris Trophy winner, which is the best defenseman in the league”. Obviously this is crazy high praise for Dougie, to even be mentioned in the same breath as a Norris Trophy. Later Pierre talked a little about his summer conditioning, which we know all about, he stated: "He had a huge growth spurt this summer, he trained with his father, who was an Olympic Rower, a phenomenal Olympic athlete for Canada and his dad had him out on the water paddling a lot this summer, you could see his shoulders just expanded and he is shooting the puck so much harder, I think the big reason why is all the rowing he did this summer." Yes Dougie and his brother Freddie did a lot of off-ice conditioning this past summer, they also made a change to their recovery for all the strength work they were doing. We suggested that in addition to the Hockey Fuel System that they consider using RESCUE that was created to support heavy strength and conditioning efforts. Dougie was game, and it soon became a summer staple. Am I suggesting that Infinit is the reason Dougie continues to grow into premier defenseman in the league, no of course not. What I am saying is that Infinit has allowed Dougie to make the most of his efforts on and off the ice. We are very proud to be fuelling the Hamilton brothers! At Infinit Canada, we love Twitter, largely because it brings us a stream of great success stories from folks who are fanatic about Infinit and their chosen pursuits. Over the past week, we had the chance to meet and hear about the "Raid The Pyrenees Trip" from Alain Francq at Waterloo Cycling Club. In addition to posting a screen snap from Breaking Away, Alain got our attention for a pretty simple statement that we just knew contained a great story: "I rode across France on Infinit and baguettes." Turns out, it's a pretty epic story. Alain reports: "We were 8-12 hrs/day in the saddle and we each had a large zip-lock bag of Infinit (dozen or more scoops) that we’d top up in the water bottles as we rode along from town to town." The journey, which covered 720km, is best described by Alain in his original blog: "Dip your wheel (or yourself) in the Atlantic Ocean on the west coast of France and cycle across the entire width of the Country and dip your wheel (or yourself) in the Mediterranean Sea on the East Coast of France." Like so many athletes who discover Infinit Canada through friends and training partners, we couldn't be happier to hear that Alain's crew integrated our product into their adventure. 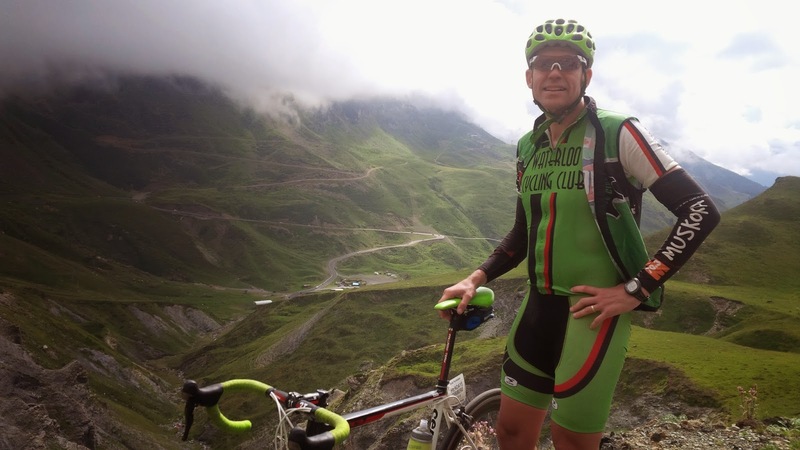 "[Infinit] really was a vital part of our Pyrenean Challenge Plan... Infinit was easy to digest, had great flavour and provided energy all day." If you have a moment to read a great story, and can stand the envy you're sure to experience, please hop over to Alain's original blog post about the trip at the Waterloo Cycling Club's site. When are you going to ride across the width of Canada? PS. Don't forget, if your team or club is interested in our Infinit Canada Team/Club Program for 2015, don't delay! Contact Darcy ASAP to get on our radar before it's too late!